When visiting Sun Valley ID, discover unique and comfortable rooms in one of the many Sun Valley Idaho Lodges. Each Sun Valley Idaho Lodge is different in its own unique way, but all are refined and cater to your satisfaction with gracious hospitality. These beautiful lodges range from economy to full-service resorts. 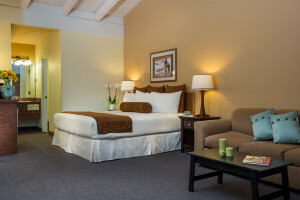 Choose from King & Queen rooms, Fireplace and Family suite, plus indoor pool, outdoor hot tub, and convenient downtown location to shops & dining. Mountain views available. With suites boasting satellite TV, an on-site restaurant & private access to hot springs, Mountain Village Resort is THE place for relaxation! Cozy cabins, boat rentals, swimming, close access to hiking trails on the north shore of the glacial Redfish Lake. Unlimited adventure and relaxation at the historic lodge. Chose from cabins, teepees, lodges, or RV park! Rent a snowmobile or head out for a hike & enjoy the conveniences of this vacation destination. Ride from your own front door... Groomed trails leading to mountain meadows deep with powder; wind up canyons that rise to giant bowls above timberline.